Delving into the danger of getting what you wish for, this is a delightful romp into the urban-fantasy genre. 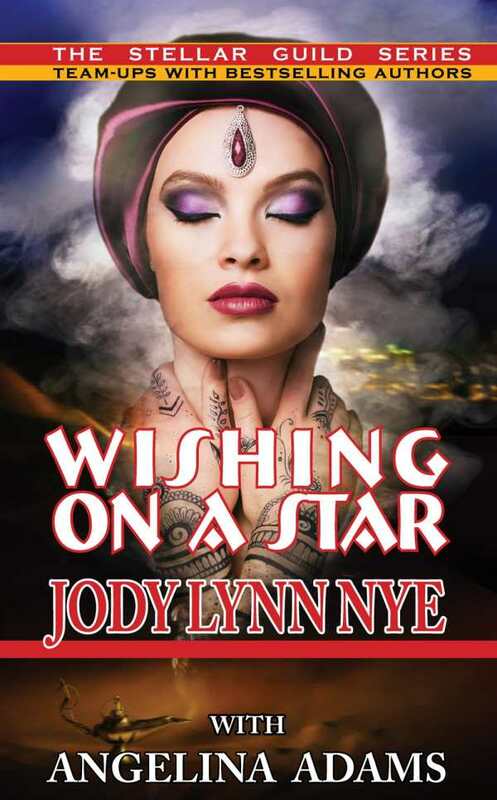 Wishing on a Star, by Jody Lynn Nye and Angelina Adams, the ninth book in the Stellar Guild series, represents a delightful romp into multiracial urban fantasy. The book consists of two parts, “Best Wishes,” written by Nye, and the other, “Homecoming,” written by Adams, linked by the same setting. In this contemporary fantasy book, fairy godparents, genies, and sandmen all work for different unions. In the first story, there has historically been bad blood between the fairy godparents and the sandmen, but main characters Ray and Ayosha refuse to let that get in the way of their relationship as they try to figure out what’s behind the appearance of a clueless young genie named Vickie. The next story follows Vickie as a number of kids use her to grant their wishes. The timely themes of being true to oneself, self-assertion, and relationships across political backgrounds tie together these magical narratives. These stories add funny touches to make the supernatural characters seem relatable despite their awesome powers. For example, Ray and Ayosha commiserate over being busy college students, while Vickie peppers her dialogue with twenty-first-century slang. Both stories deal with heartrending issues to make one empathize with the main characters. It is also common for characters in these twin narratives to feel lacking when they in fact have a lot going for them, which is a universal theme to which everyone can relate. In “Homecoming,” Adams delves into why Vickie feels lost. After having her family wrenched away from her, the genie has become numb inside. Taken together, the two stories do a wonderful job of likening her plight to that of a battered woman, who has no choice but to go along with her abuser’s demands. Thankfully though, the Indian American family that the genie dwells with provides a welcome counterpoint to this maltreatment. Both stories point to the danger of getting what one wishes for in thought-provoking and startling ways, as those who have their desires granted end up suffering in ways they could have never imagined. Reading this book alone or in conjunction with the other volumes in the series is a must for an urban-fantasy lover.